As Bend, Oregon sat under 37 inches of snow this past winter, Ryan Kaiser was at home putting in miles on the treadmill. He’s now convinced that low impact running helped him reach the highest level of fitness he’s ever seen. And it shows. 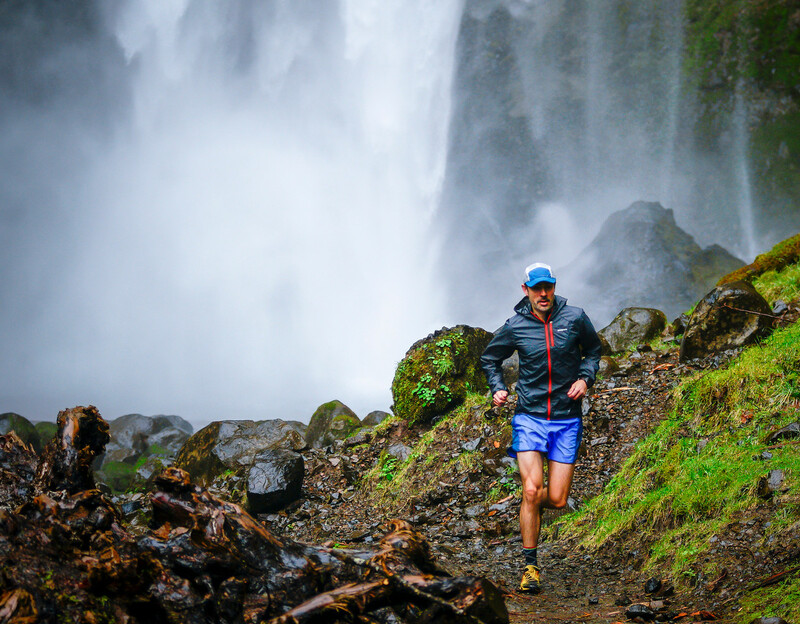 With recent wins last month at the Tillamook Burn 50-mile and Gorge Waterfalls 50K, along with earning his golden ticket at Sean O’Brien 100K, he’s looking forward to heading back to Squaw for the big dance in June. When talking to Ryan about running, his energy is contagious. You can honestly hear him smiling on the other end of the phone. And understandably so. After quietly popping up on the ultrarunning scene about three years ago with a win at Mt. Hood 50-mile, he’s continued to stack up numerous wins and an 11th place finish at Western States in 2015. Ryan’s also tackled the toughest races in ultrarunning with ease, finishing in the top 10 at both Hardrock and Pine to Palm, and winning Waldo 100K last year. Looking ahead to Western States, Ryan says his downhill running has improved due to training for both Hardrock and UTMB courses, not to mention his vertical gain. Coach David Roche has also helped him increase his volume to sustain higher mileage, but added maximum quickness and efficiency to his training using strides and intervals. These changes improved Ryan’s speed and economy on ascents, as he’s now able to hold a sustained pace for longer periods of time. Ryan credits David with his improved fitness, and whatever he’s doing seems to be working. Meanwhile, this past year has been a busy one for Ryan who started his own law firm last October. While the move was a scary one, Ryan’s business grew quickly from two clients to 25. Being his own boss has allowed him more flexibility, but life’s about to get even busier for the Kaiser family. Ryan and his wife, Shelley, recently found out they are expecting twins. He says he’ll likely adjust his future running plans as needed once the babies arrive, but right now they are just trying to process the big news of adding two little ones to their family of three. With a strong couple of years under his belt and a busy future ahead, Ryan says he’s looking forward to competing at Western States again. All evidence points to 2017 being a competitive year where the win is anyone’s for the taking and while Ryan has no expectations for his finish in Auburn, he’s got the confidence to run a smart race. So if the snow-covered mountains at Squaw don’t make up for all the time spent on the treadmill, the high temperatures in the canyons surely will.